Guaranteed: InvisibleShield Glass is so good, it comes with a Limited Lifetime Warranty. Sensitive: The super thin design offers ultimate touchscreen sensitivity. InvisibleShield Glass is the next evolution in premium screen protection. Made of high–quality tempered glass, it delivers maximum scratch protection while preserving crystal clear image resolution. In addition to unmatched protection, Glass maintains precise touchscreen sensitivity and features a unique oil–resistant coating that repels natural skin oils so it’s always a breeze to clean. And speaking of easy, applying Glass is as simple as aligning it, pressing it, and watching it magically do the rest. All in all, Glass is the clear choice in screen protection. 1 Rugged Folio keyboard and case, 1 micro USB to USB charging cable, and an owner's manual. InvisibleShield Glass for the Apple 12.9-inch iPad Pro (2015/2017) is rated 4.6 out of 5 by 115. Rated 5 out of 5 by Becky H from Best product on the market! Bought the ZAGG shields for my IPad Pro and iPhone. Both were in my briefcase and dropped it. ZAGG SHEILDS kept my screens from breaking. Thank you ZAGG! Rated 5 out of 5 by McCaskill from Great product and amazing customer service. Great customer service and communication via email and over the phone. Rated 5 out of 5 by Tripn4jc from Easy to install! Quick and easy process. Good packaging and easy to install. Rated 5 out of 5 by Tom Ruem from Great customer service Exchange was easy and simple! Representative was grea. Rated 5 out of 5 by GiGi Nunnery from Great product This is my third one and it’s protected my iPad every time! So worth the money! Rated 5 out of 5 by Pjrangel from My Glendale Galleria mall vendor was awful Your shields are great but this representative does not represent you well. My experience with Best Buy was awesome. Rated 5 out of 5 by Mizmikey from Love it! Nothing much to say. ZAGG’s reputation lives up to its standard! Ordering a replacement was easy. I’ll always go with ZAGG and recommend ZAGG to others! Rated 5 out of 5 by Chula1 from Great item for my iPad Pro 12.9 I brought this item a couple of weeks ago and I am so glad I did. I love Zagg products. I have the invisible glass for my iPhone too. This item has really saved my phone. Also, this company is great when it comes to your warranty. Just put in a request for your damaged glass and a new one comes in a matter of days. Rated 5 out of 5 by BLowe1532 from This is my third ZAGG Screen; iPhone, iPad and iPad Pro. Rated 5 out of 5 by Joelamos59 from InvisibleShield Glass, iPad Pro Fast shipping, easy install, great videos to assist in installation, “remove all dust” is a Must, great product great protection for an expensive investment!!! Rated 5 out of 5 by JRPagan from Tempered Glass! Easy to Install! Looks Awesome! As the title states this is not one of those plastic, flimsy sheets that you rub into your iPad, fighting with air pockets the whole time through. This is the tempered glass sheet that, if you follow instructions, lays beautifully on your screen. Air pockets quickly disappear, and what you have is a very clear and beautiful screen. Great purchase! Spend a little more money on a screen protector. Don’t go cheap! You will appreciate it. Rated 5 out of 5 by Msant2 from Clear Great quality. Would definitely buy it again!!!!!! Rated 5 out of 5 by Wlmjr from Works as advertised. Purchased it directly from Zagg several weeks ago. Stays pretty clean. Easy to clean. No interference with screen interface. I would prefer less reflective surface. Application was a little stressful but worked fine. Good product. Rated 5 out of 5 by Louisnoc from Great warranty exchange process My ZAGG IPad shield had unfortunately cracked. The ZAGG warranty exchange online was easy to access and expeditious. Rated 5 out of 5 by Toad master from Easy to apply and use . Super stuff . I am so much more at ease knowing my phone is safe . Rated 5 out of 5 by StarStyl from Great protection I brought this product for my iPad Pro. One day I fell asleep on the couch with my tablet and my tablet fell on the floor. When I woke up, I had totally forgotten that my tablet was on the floor and stepped on it. Test screen was severely cracked and my OtterBox has a small crack. Or so I thought. When I pulled off the Invisishield, I found a perfectly intact tablet with no cracks. Since both my Invisishield and Otterbox has life time warrenties, all I had to do was order a replacement nd pay the $6 shipping. Rated 5 out of 5 by Mand70 from Clear view The invisible shield is easy to install and is incredibly clear. Rated 5 out of 5 by Chef_cass from Time tested quality. 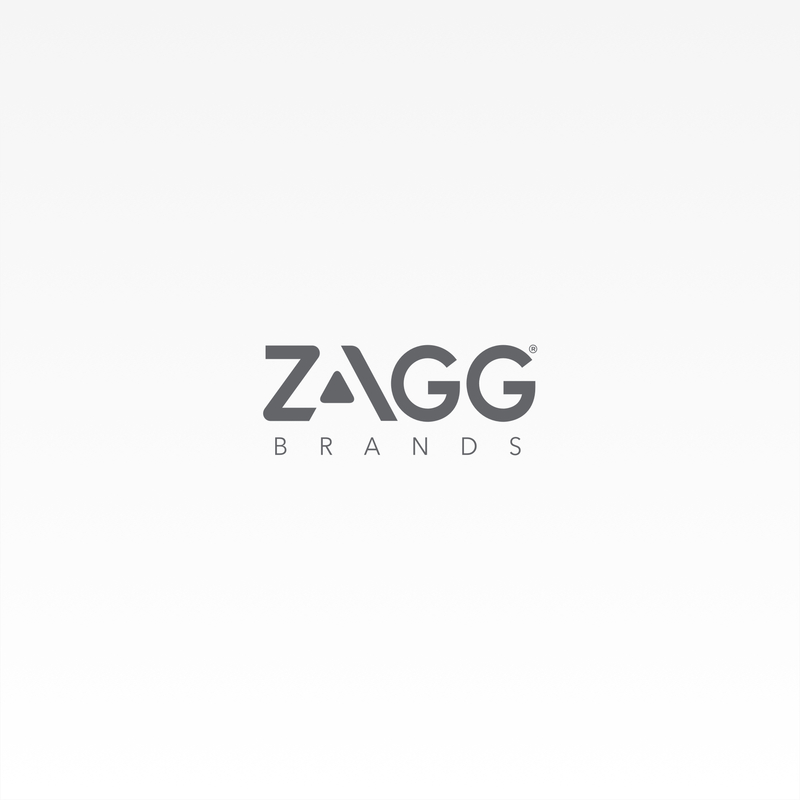 We love Zagg products, warranty, and customer service. Zero reservations purchasing another high quality screen protector. Rated 5 out of 5 by maxx13 from Easy to Apply So happy with this glass shield so far. It was super easy to apply and minimizes smears. A bit pricy though but does the job it states quite well. Rated 5 out of 5 by AJ4ZAGG from Great Product Great Product. I have use a similar product for my iPhone and highly recommend it. No it will not. We've tested it. Will the the slim book cover/keyboard scratch this invisashield glass cover? No, our keyboards and shields are designed to work together without conflict. However, if you ever want to replace a scratched InvisibleShield screen, you can register at https://www.zagg.com/us/en_us/customer/account/login/. Will the apple pencil mark up or leave impressions on my screen protector on my iPad pro ? How well does this work with the Apple Pencil? The Glass should not affect how the Apple Pencil interacts with the iPad. HDX or Glass? I have an iPad pro and not certain which is the best way to go? I do have the Apple smart cover but want the added protection from scratches and less fingerprints. Can you suggest why I would get one product over the other? The HDX is going to give you more shatter protection while the glass is smoother and feels more like your screen. The glass also prevents fingerprints more than the HDX does. It depends on if you feel like you want more protection or something more smooth and clean. They are both great shields for the iPad Pro. Yes, our shields do not interfere with the technology of the pencil at all. I have just purchased a case for the IPAD PRO with a back shell, will the glass enable me still to use this case ? Yes, you can use a shield with a cover. I purchased the HDX for ipad pro but the protector did cracked when I put on the case. Is there a case-compatible version? This version should work with a case. Please contact customer service and they will be able to help you. 800-700-9244. The Glass screen protectors are among our easiest shields to install. If you want a ZAGG retail employee to do it for you, you can visit a mall kiosk or retail store and they should install it for free. Our warranty system is made for if your shield id broken or gets scratched/old. Will this fit my iPad Pro 2018? Will this interfere with the Apple Smart Cover for the iPad Pro? Does the invisibleShield Glass interfere with the Apple Pencil for iPad Pro? My previous Adonit Jot Pro wouldn't work properly with a Glass shield installed, so I don't want to waste money if this will have similar issues. No, our shields do not interfere with the apple pencil. Am looking for screen protection but also something that will cut down glare/reflection -- need to use iPad Pro under stage lights and outdoors. &nbsp;Will this work? The glass does work in low light situations, but won't completely cut down the glare/reflection. Is this supposed to be rigid glass protection or an acrylic shield? I have bought one that says glass,inside was an acrylic shield.called csa and asked this same question. I was told it should be glass. they sent me a replacement. no difference? We do not make acrylic shields, only tempered glass and plastic film. The Glass shields are very different from our film ones. The Glass should not bend whatsoever. That should be the defining factor when comparing iPad shields. Please contact customer service at (800)700-9244 and they will be able to provide you the correct replacement. Does the glass shield for the ipad pro protect the back also? They are currently back in stock. Will the Apple iPad pro glass protector fit with a unicorn beetle pro case with a front cover but it doesn't have the built in screen protector? The iPad pro glass works with most cases. I am a musician and have music downloaded on my iPad for concerts. I used a ZAGG on my other iPad and found that there was a glare and visibility issues when I wore sunglasses for outdoor concerts. Which product would be best for all light scenarios? Will these work with an Apple Smart Cover, or will it make the Apple Smart Cover no longer fit? Will it work with a Logitech keyboard case? Hello, will this screen protector fit the iPad 12.9 inch second generation that just came out this month? Does the InvisibleShield Glass for Apple iPad Pro fit the original 2015 12.9 inch model?